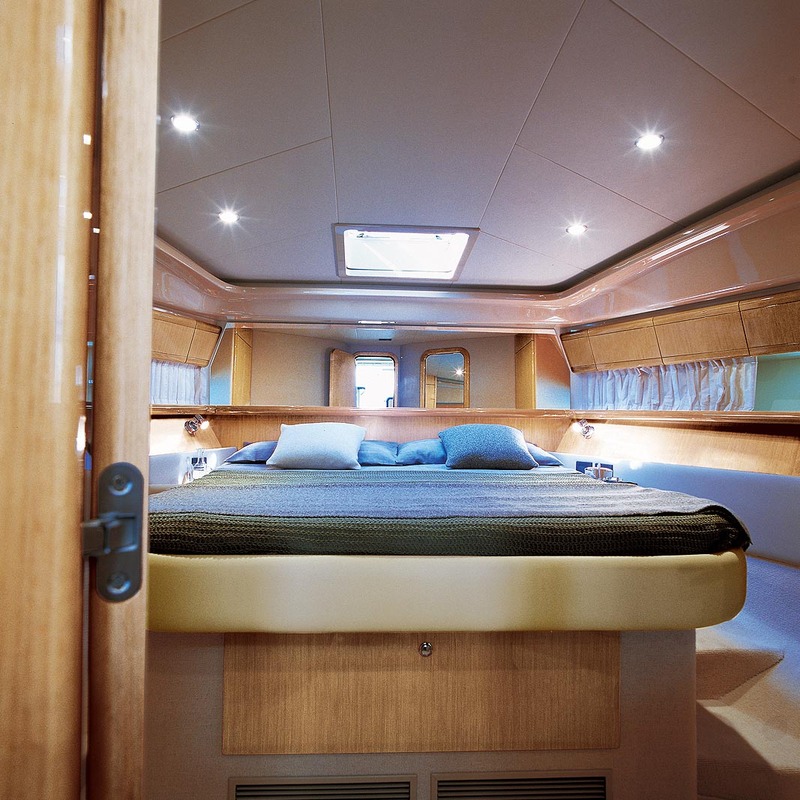 Crewed charter yacht TIME OUT is a 16.8m (55.1ft) luxury motor yacht, built in 2006, by Italian Ferretti Group. 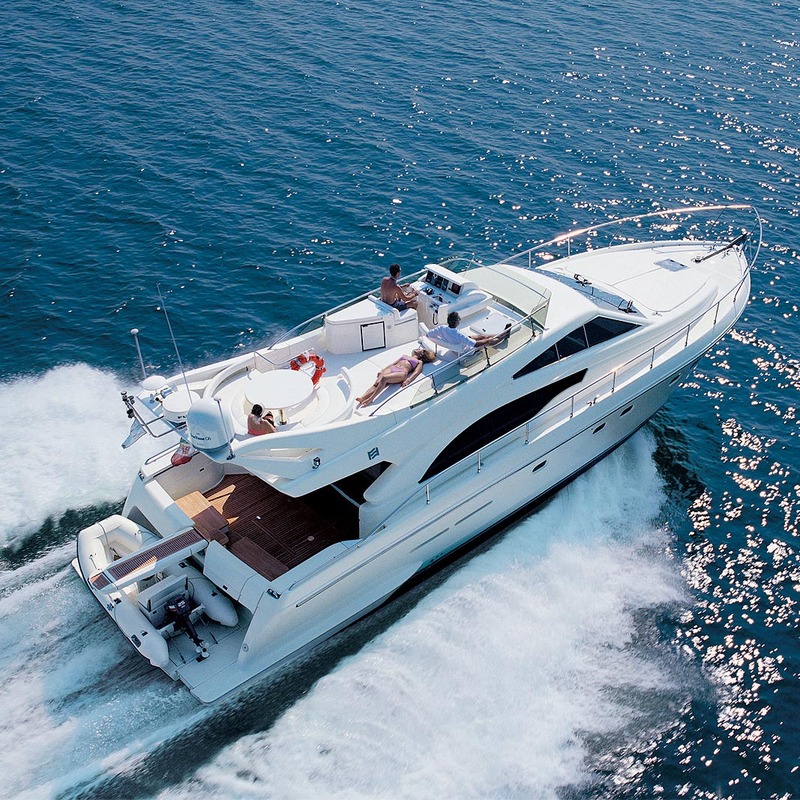 Boasting ample interior and exterior living space, the TIME OUT motor yacht offers accommodation for up to 6 charter guests and has a permanent crew of 1. 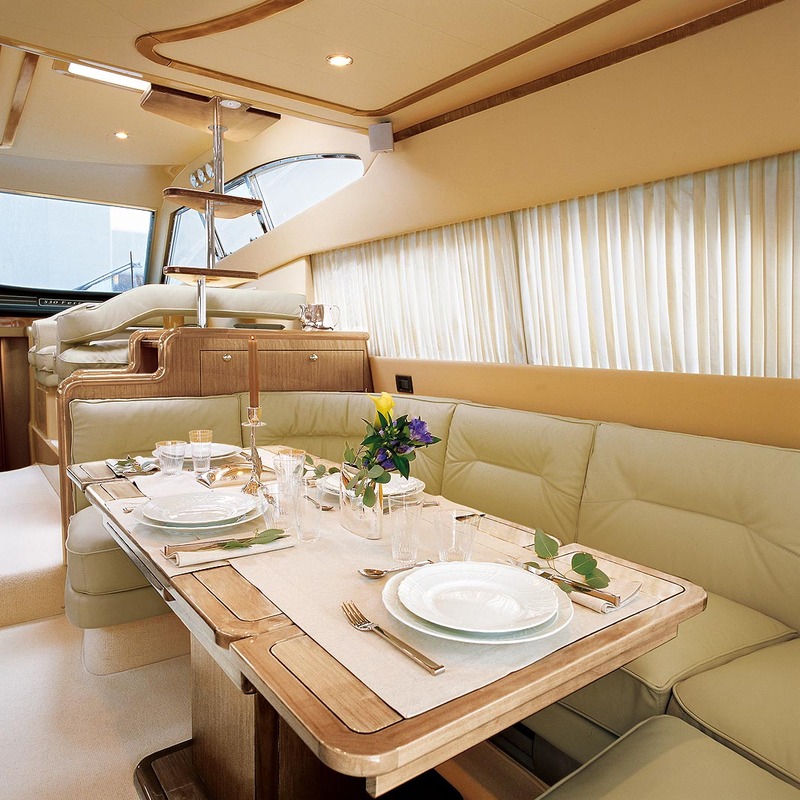 Motor yacht TIME OUT features an elegant, yet simplistic interior décor. Pale wood panels, supple cream furnishings and light carpets create a spacious, airy ambiance. The salon and dining is an open plan, offering a relaxing lounge, with convertible table and entertainment system. Forward a further seating area is perfect for the kids, or as a games table. Elongated windows, a forward facing windscreen and sliding glass doors aft, ensure plenty of natural light. 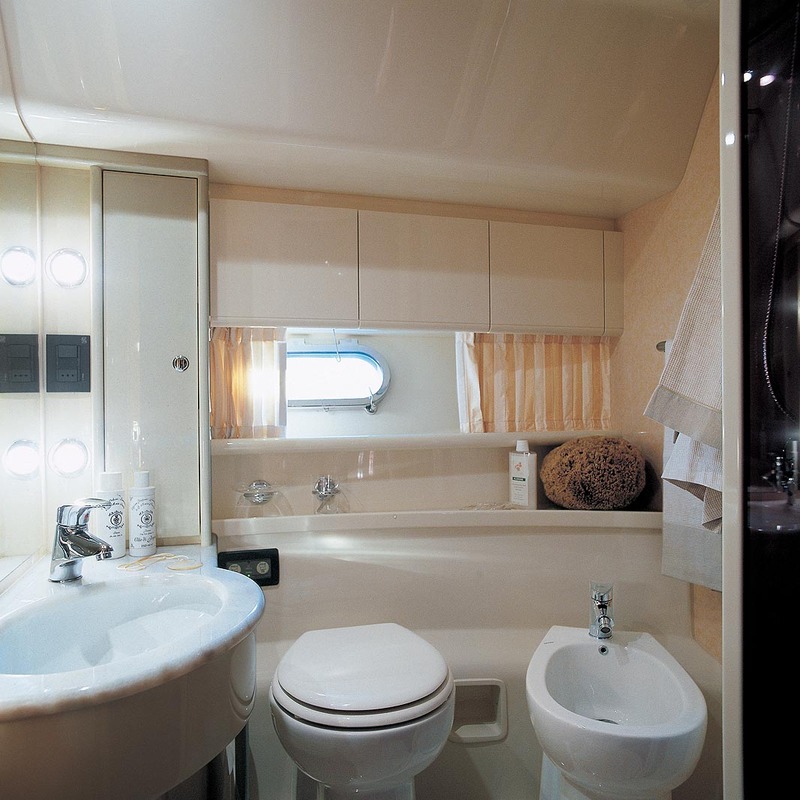 Guest accommodation aboard the yacht TIME OUT is below decks, in 1 double and 2 twin cabins. 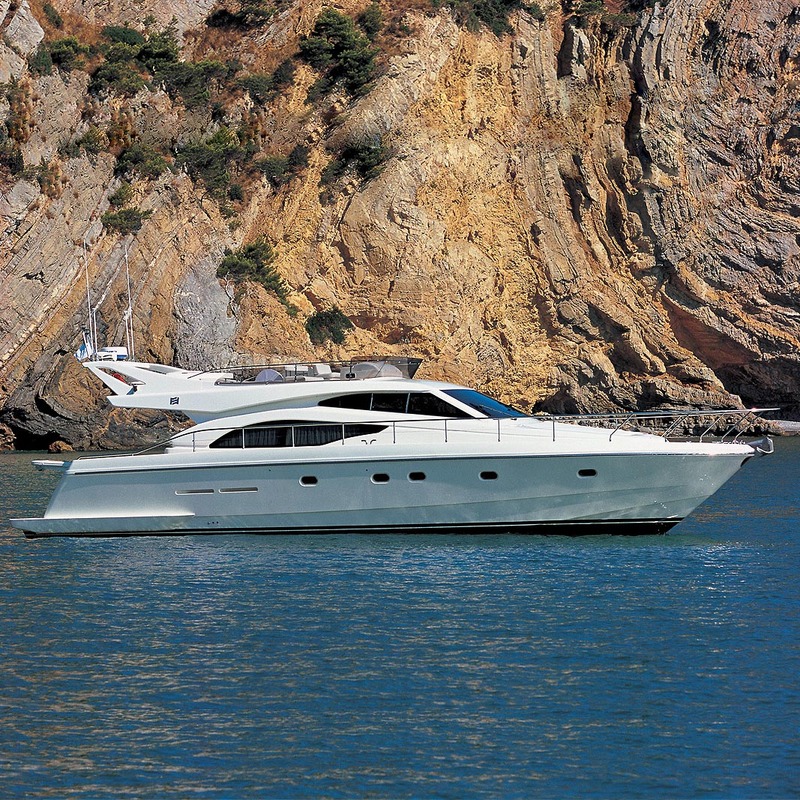 The Ferretti yacht TIME OUT boasts capacious exterior deck space. The aft deck is adjacent to the salon and shaded, with an alfresco dining option and seating, perfect for a relaxed afternoon cocktail, followed by a romantic dinner. The extended swim platform is ideal for water sports, offering effortless access to the sea and a refreshing fresh water rinse. An upper flybridge deck is a social hub, boasting seating for all, a large sunpad, wet bar fridge and further alfresco dining option. 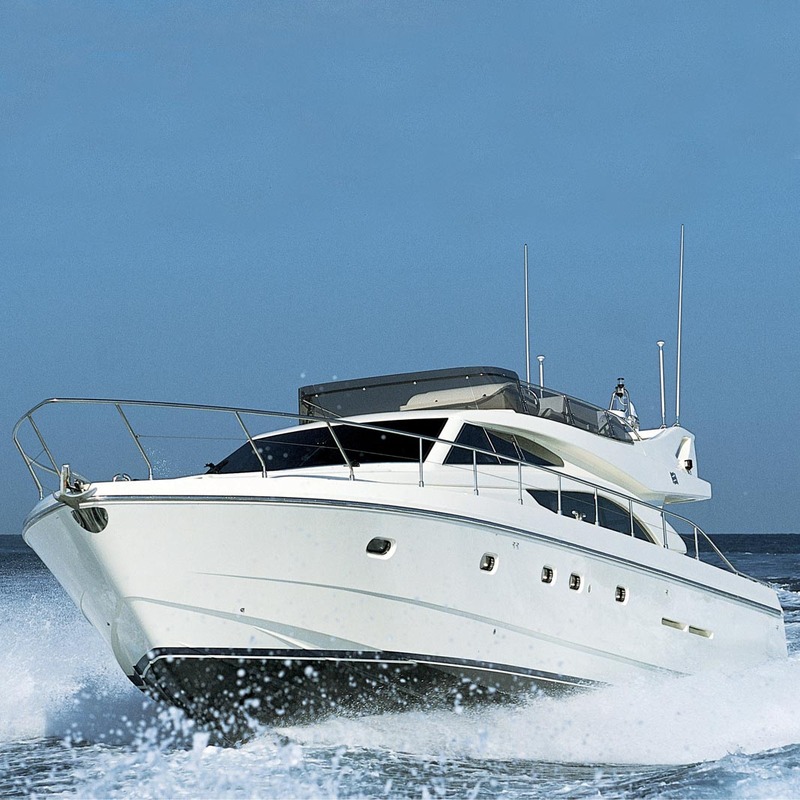 Two CAT engines power the TIME OUT motor yacht, providing speeds of 25 – 28 knots. 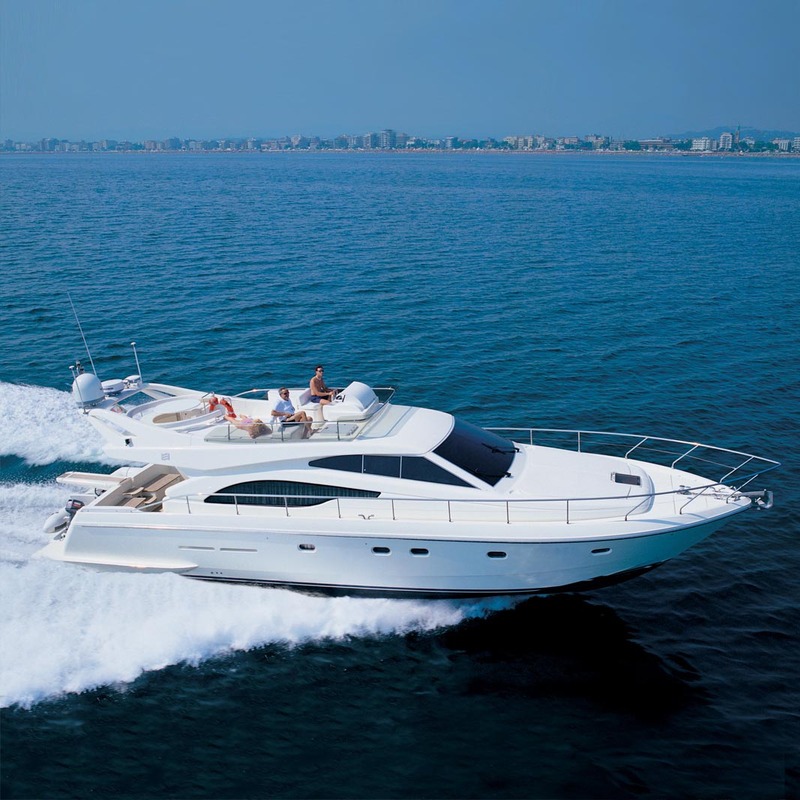 The TIME OUT yacht has the following Tenders & Toys: Tender Flyer 25 with Yamaha 30th outboard. Communications include VHF. 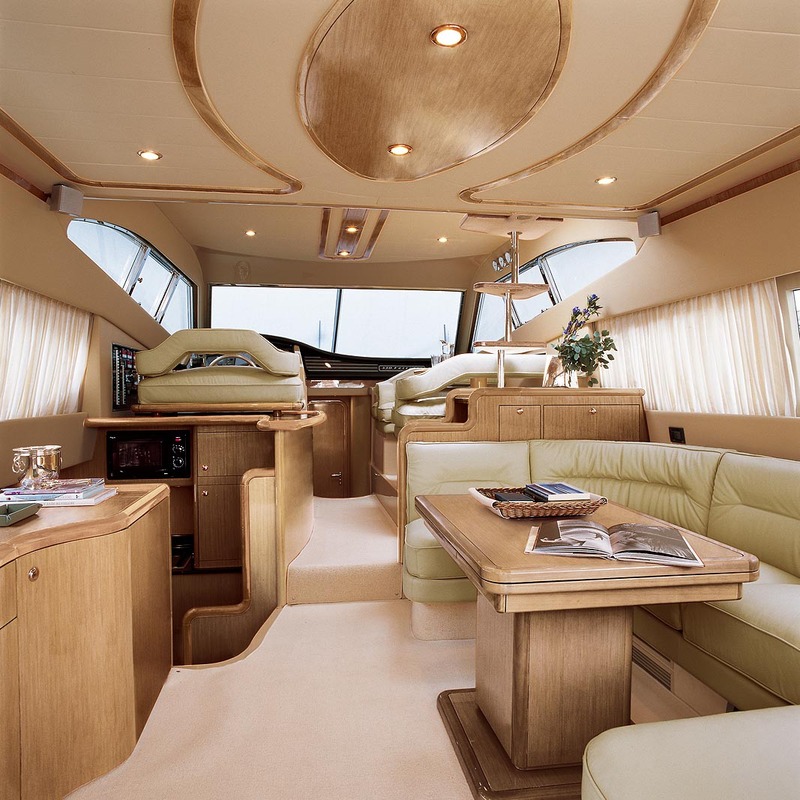 Audio Visual Equipment and Deck Facilities include TVC LCD 20” - Surround HI-FI CD/ Stereo, Satellite TV, Satellite Communications.